Zombies Attack!! : Is a Japanese Video Game Too Similar To 'Dawn of the Dead'? Awards season is almost over, so we can now bestow the prize for this year's most gruesome claim of fair use to...wait for it....Japanese video game maker Capcom! In this complaint filed yesterday in U.S. District Court in Los Angeles, Capcom says that "humans battling zombies in a shopping mall" is a "wholly unprotectible idea" by copyright standards. 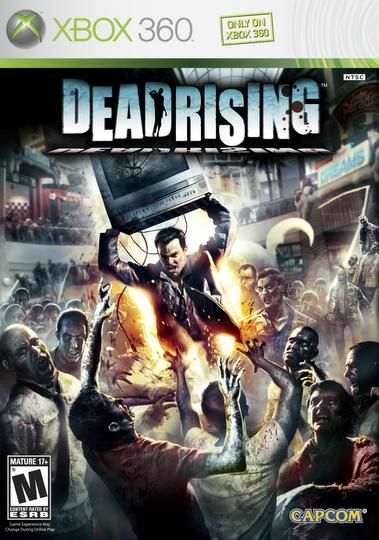 Capcom, represented by Rodger Cole at Fenwick & West, is seeking a declaratory judgment and attorneys' fees after New Line Cinema complained in a letter about similarities between Capcom's "Dead Rising" video game and George A. Romero's 1979 film and 2004 remake, "Dawn of the Dead." Capcom is seeking to stop The MKR Group, which claims to be the exclusive owner of the copyright to the films, from asserting its intellectual property, including copyright and trademark. The complaint says that the parties have unsuccessfully engaged in discussions in an attempt to resolve the matter. Capcom also stamped a disclaimer on its video games that read, "This game was not developed, approved or licensed by the owners or creators of George A. Romero's Dawn of the Dead." MKR's outside counsel allegedly sent a letter and a copy of a draft complaint to Capcom, Microsoft, and Best Buy. Will the judge offer guidance as to when video game makers must license rights from films with similar themes? More interestingly, does the battle for humankind die by the judicial hammer or live on through the spirit of intellectual obviousness? Don't expect these issues to ever rest in peace. The columnists and bloggers who write for The Hollywood Reporter have their collective finger on the pulse of the boxoffice. Martin Grove and the other THR columnists deliver their thoughts on the film industry in an uncompromised style. Subscribe to THR today and get the latest views from these film experts and get the latest movie reviews as well.